Do you have a sister? Felicia does not have it, but she has a best friend Roxy. They call each other sister and wanted to be by the best friends for life. They are always in a great mood, love to have fun, relax and give a good mood girlfriends. 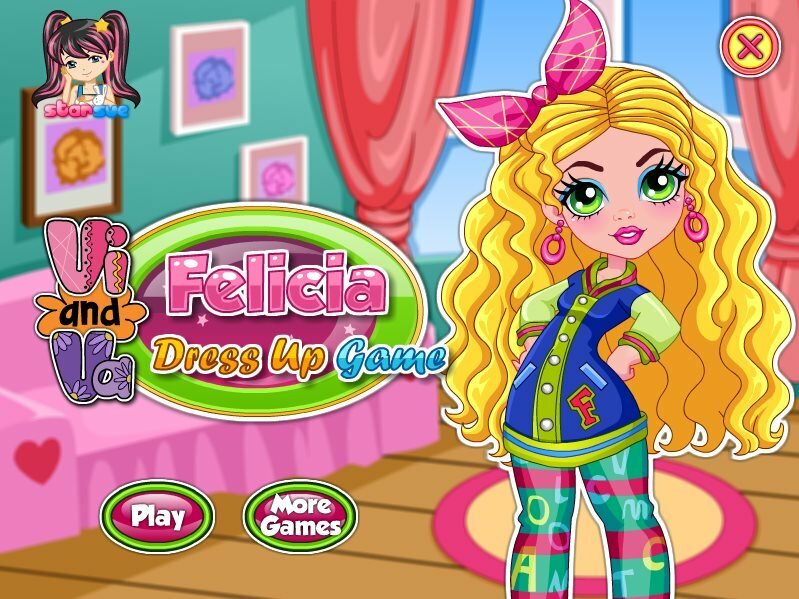 How to play: in this dress up you can choose a dress for Felicia. 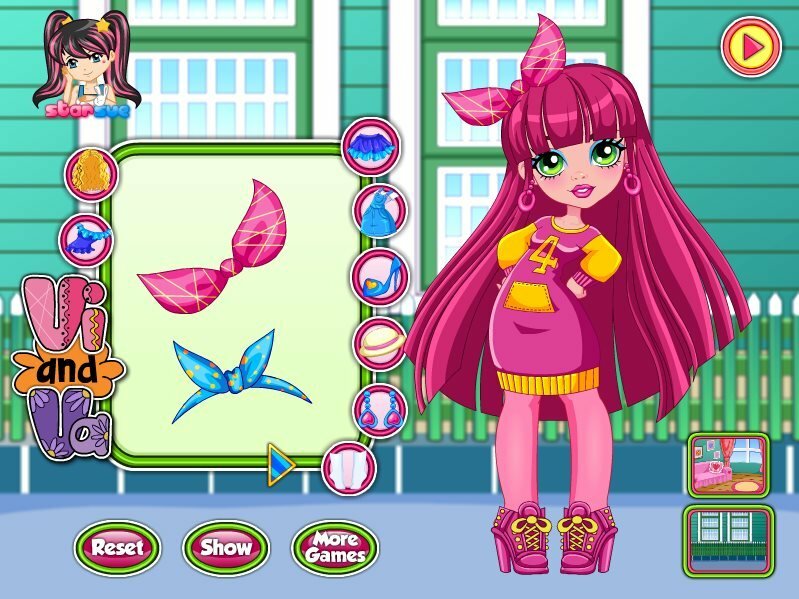 Use your mouse to choose the dress, hairstyle, shoes and bow for this naughty girl. The game has a great lively music. She adds the desire to play and uplifting. Played: 25407. Added: 9-11-2015, 23:08. Vi and Va Filicia dress up game. A new dress for Felicia.